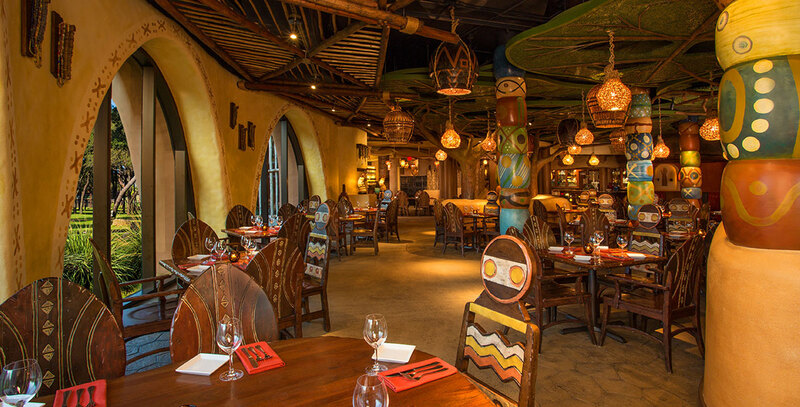 Sanaa Restaurant in Kidani Village at Disney’s Animal Kingdom Lodge; opened May 1, 2009. The restaurant celebrates the art of African cooking with Indian flavors. From their table, guests are offered views of African wildlife on the Sunset Savanna outside. Inside, traditional artisan and market goods decorate the space. The nearby Sanaa Lounge offers appetizers and cocktails.